TODAY You can purchase our Audio Teaching DAY 1 and DAY 2 Of Breaking, Uprooting & Destroying Territorial Spirits Conference! Also available for you our 4G Midnight Prayer Points Use these powerful prayer points and join us for midnight prayer at TKC London or use at home! Visit our online bookstore today and purchase fantastic life tools for yourself and a friend! Grab & LAY HOLD of great Teachings! If you can’t find what your looking for? Visit our alternative online store here! 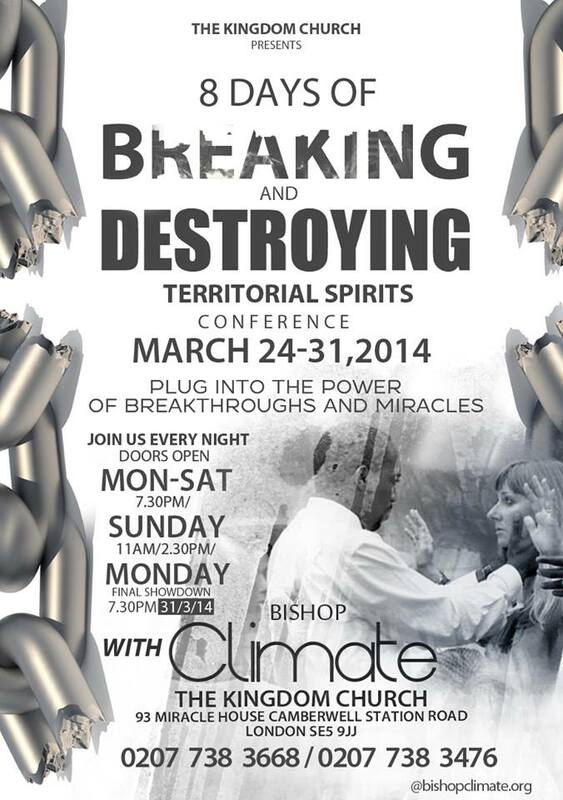 The Kingdom Church presents 8 Days Of Breaking & Destroying Territorial Spirits Conference which continues Tonight – 31st March 2014 ! 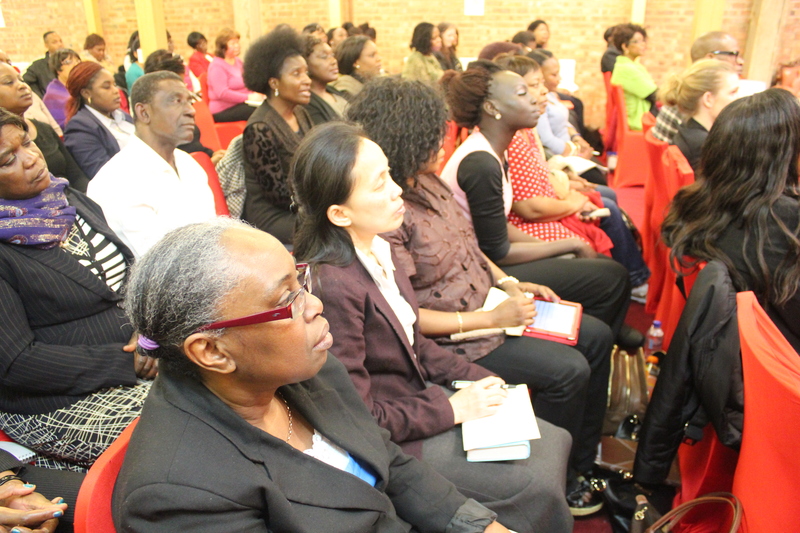 This includes The end of the month Fire service on the 28th March at The Kingdom church London! Every night God has instructed Bishop Climate Irungu to blow a special trumpet so that victory shall take place and every enemy in your life shall surrender. Cant Make it? Join Our Online Family! Watch LIVE From 8PM at www.bishopclimate.tv Scroll down & read TKC Weekly Schedule to find out more! Tomorrow 27th March Day 4 Of Breaking & Destroying Territorial Spirits! Get Ready as we experience total wholeness & supernatural breakthrough in every area of your life! Find Out How YOU Can Receive Favour This Week! Read Prophetic Word From Bishop Climate, Miracle Pool & More! Discover How You Can Praise Your Way Out Of Any Situation! Get Ready For DAY 4 Braveheart Conference 2015! Read Prophetic Word From Bishop Climate & More!